We’re all tempted to use words that we’re not too familiar with. It’s the words that we think we’re using correctly that wreak the most havoc. We throw them around in meetings, e-mails and important documents (such as resumes and client reports), and they land, like fingernails across a chalkboard, on everyone who has to hear or read them. We’re all guilty of this from time to time, myself included. When I write, I hire an editor who is an expert in grammar to review my articles before I post them online. It’s bad enough to have a roomful of people witness your blunder and something else entirely to stumble in front of 100,000! Point is, we can all benefit from opportunities to sharpen the saw and minimize our mistakes. Often, it’s the words we perceive as being more “correct” or sophisticated that don’t really mean what we think they do. 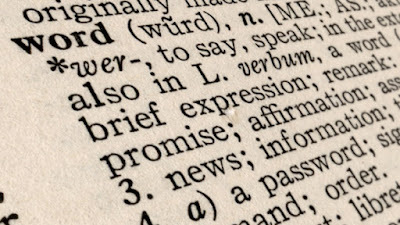 There are 20 such words that have a tendency to make even really smart people stumble. To help you remember, note that both except and exclusion begin with ex. To make these words even more confusing than they already are, both can be used as either a noun or a verb. We’re all pretty clear on the lie that means an untruth. It’s the other usage that trips us up. Lie also means to recline: “Why don’t you lie down and rest?” Lay requires an object: “Lay the book on the table.” Lie is something you can do by yourself, but you need an object to lay. Just remember, if the movement is toward you, use bring; if the movement is away from you, use take. A lot of people get this wrong. If you break your leg the day before a ski trip, that’s not ironic—it’s coincidental (and bad luck). Ironic has several meanings, all of which include some type of reversal of what was expected. Verbal irony is when a person says one thing but clearly means another. Situational irony is when a result is the opposite of what was expected. O. Henry was a master of situational irony. In “The Gift of the Magi,” Jim sells his watch to buy combs for his wife’s hair, and she sells her hair to buy a chain for Jim’s watch. Each character sold something precious to buy a gift for the other, but those gifts were intended for what the other person sold. That is true irony. If you break your leg the day before a ski trip, that’s coincidental. If you drive up to the mountains to ski, and there was more snow back at your house, that’s ironic. Nauseous has been misused so often that the incorrect usage is accepted in some circles. Still, it’s important to note the difference. Nauseous means causing nausea; nauseated means experiencing nausea. So, if your circle includes ultra-particular grammar sticklers, never say “I’m nauseous” unless you want them to be snickering behind your back. 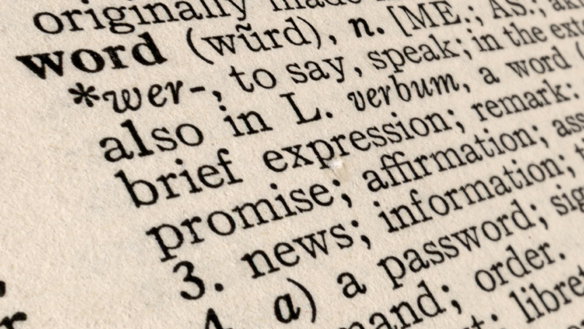 These are two of the most commonly misused words in the English language. Comprise means to include; compose means to make up. If you can substitute “more” or “additional,” use further. English grammar can be tricky, and, a lot of times, the words that sound right are actually wrong. With words such as those listed above, you just have to memorize the rules so that when you are about to use them, you’ll catch yourself in the act and know for certain that you’ve written or said the right one.